In preparation for Frankenstorm (Hurricane Sandy) that is about to blast the east coast. Meteorologists are calling it the “Perfect Storm”. I searched through the wine cooler and pull out a bottle of Malbec. 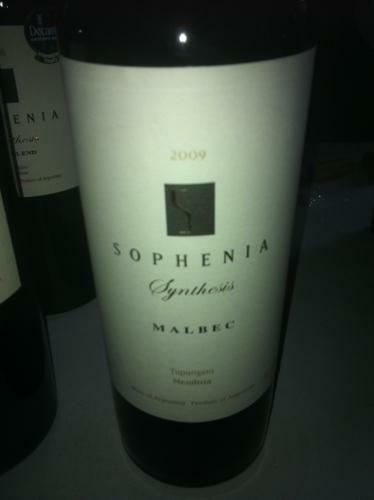 2009 Sophenia Synthesis Malbec, grapey-spicy aromas with ink-like color. I allowed the wine to breathe for about 10 minutes and the alcohol is high (face frowns). Here it goes… taste – HARSH! full blackberry flavors and it needs additional time to breathe. I’ll attempt this again in another 10 minutes. In the meantime, I’m gathering batteries, flashlights, candle sticks, which I placed in empty wine bottles. I’m also preparing my TO-DO list for Saturday: gas up the vehicles and withdrawal money from the bank. I have to tell you that it’s difficult to write this review. 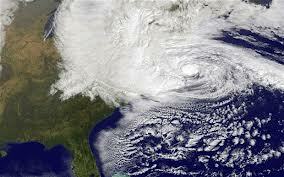 My prayers go out to those in NY and NJ who lost loved ones, property or had damage to their property. I love how others with electricity supported their fellow neighbor allowing them to charge their cell phones. I urged everyone to please give to the Red Cross www.redcross.org there are many who are still displaced and need assistance. For accurate information on shelter and assistance go to www.fema.gov. Ok, time for the second sip; before I can sip I have to sniff – I’m picking up hints of cocoa. Sip – calm, spicy flavors; it’s much better the second-time around. I check out the label and this is a limited edition, only 16,000 bottles produced; region – Mendoza, Argentina and aged 12 months in French barriques. Barriques? Is that the same as barrels? Let’s find out! Another 30 minutes has past, lets see if there’s any change and how well it pairs with Dove dark chocolate. OH YEAH, THIS IS NICE! Smooth, the spicy flavors are softer on the palate. This wine is delicious with a piece of dark chocolate. Come to think of it, what wine isn’t good with chocolate:). My original ending was as follows: Hope all is safe and Frankenstorm doesn’t hit the east coast hard. Unfortunately, Sandy reared her ugly head and caused devastation. Remember you can still help those in need!